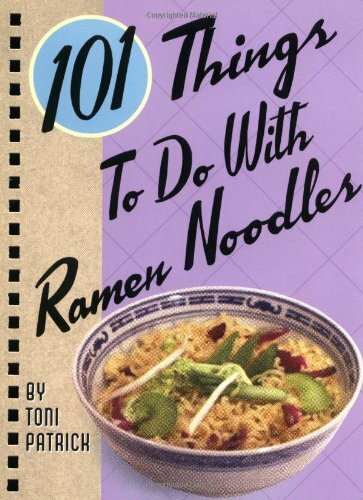 A must-have for noodle lovers everywhere! Give your tastebuds a whirl with these simple ramen noodle recipes. There are Soups, Salads, Beef, Chicken, Pork, Seafood recipes, along with Family Favorites and Vegetable Entrees and Helpful Hints. Some of the recipes you will find in this book are Summer Picnic Salad, Ramen Fajitas, Beef Sukiyaki, Ramen Trail Mix, Chocolate Chinos and many more!